The history of weight loss in the United States is… complicated. In the 1950s, many American women discovered miraculous diet pills that really worked. Of course, we now know these so-called “weight loss” pills were actually just speed, a highly addictive stimulant and distant cousin to crystal meth. In the years since, so many weight loss schemes and fads have come and gone. Right now you can probably think of at least one Facebook friend who’s constantly selling some kind of probiotics, supplements, or diet plan via social media. Unfortunately, because of the history of weight loss in the United States, far too many people feel like there aren’t any real, medically proven weight loss solutions available. That simply isn’t true. Because of the obesity epidemic, bariatric surgeons and medical weight loss centers have begun offering a variety of weight loss surgery options. Unlike diets, exercise, and other “miracle” cures, treatments like the lap band surgery can result in sustainable, long-term weight loss. Who Can Benefit From Lap Band Surgery? Undergoing surgery for weight loss is the right option for many people, especially after other methods of weight loss have failed. Rather than launching another doomed diet, so many Americans are instead benefiting from weight loss surgery. Indeed, after many types of weight loss surgery, most people will keep all the lost weight off for 18 to 24 months. After about the two-year point, some people will regain some of that weight, but only a portion. And in 2016, the techniques used by our San Diego bariatric surgeons are tried and true. 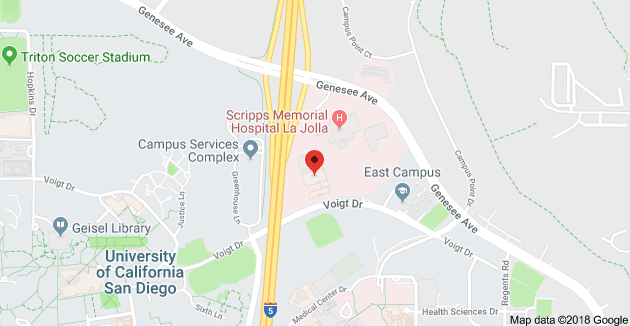 Gastric bypass has been performed for over 50 years, and every year more than 200,000 weight loss surgeries of all kinds are performed here in the United States. In fact, because this field has grown so much over the decades, surgeries like gastric bypass, lap band surgery, and other forms of medical weight loss have become much safer. Doctors better understand the potential side effects that can result from these operations, letting patients make informed choices about the benefits and potential risks. For patients with obesity-related health conditions, lap band benefits can be a lifesaver. That’s because these medical implants help patients safely and quickly lose weight. Just as importantly, the weight loss process takes place under the guidance of medical professionals. Medical weight loss programs let patients lose weight in a healthy, controlled manner. The lap band involves the placement of an adjustable band around the stomach. Because it restricts the size of the stomach, the surgery also restricts the consumption of food. There are many advantages to this method; for instance, it’s a minimally invasive surgery that does not tend to leave much of a scar. Not only is the surgery reversible, but a surgeon can also adjust the amount of saline solution in the band to meet the individual’s changing weight loss needs. And unlike other forms of weight loss surgery, there is no cutting or stapling of the patient’s stomach. Of course, what really matters is this: a lap band can help patients drastically reduce their weight in a short amount of time. It’s a sustainable weight loss solution that can have a major positive impact on your health for years or decades to come. For all these reasons and more, the lap band benefits countless people all over the world. If you have any questions about bariatric surgery insurance, lap band benefits, or lap band insurance specifically, don’t hesitate to reach out to your insurance provider. For health questions, talk to a medical provider about all of your weight loss options. 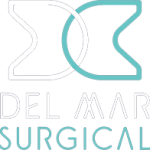 For more information about your weight loss surgery options in San Diego, including the lap band, contact Olde Del Mar Surgical.